Play Million online casino has a lot of promotions going on. They change from time to time but what is consistent is their generous welcome bonus package. They always have a nice match bonus to top up your deposit. 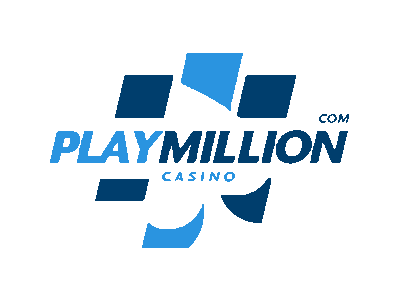 With ongoing promotions and VIP lounge, you will definitely not be disappointed by Play Million. What you can not find at Play Million online casino is not worth looking for. That’s the first impression. The seem to have it all. Live casino, scratch cards, table games and big wheels, Play Million has something for everyone. Grab a bonus and find out what you think. Play Million online casino has an extensive selection of NetEnt games which has been very popular last couple of years. Several of the middle sized software companies are here, but we are missing the giants. Microgaming and Playtech are not in the list of software companies. The number of deposit methods at Play Million online casino is huge. We have not seen anything like this during our years of reviewing online casinos. No doubt that Play Million is making it easy to deposit money. We can not find anything that we miss, and therefore they get a top rating on deposit methods. The list of withdrawal options compared to the deposit methods is very short. Bank wire transfer is supported which makes them approved. Skrill, Neteller and Visa are also there which makes them an average online casino. Just like the deposit methods, Play Million online casino invites the world. The list of languages to chose from is enormous. They have to be one of the most welcoming casinos when it comes to languages. A lot of supported languages is, of course, a good thing. Top rating here. When looking at the currencies, Play Million online casino continue to deliver. The Scandinavian presence is total which tells a bit about heir focus. We can also see US Dollars, Canadian Dollars and South Africa Rand. Russian Rubles are also supported which opens up for a big crowd. Play Million online casino supports us through live chat, which works great. They also have a support mail and an international support phone. This is slightly better than most casinos why we think they are above average on support options. We had a bit of a delay with our withdrawal but that happens everywhere from time to time. Play Million online casino leaves the door open to the old school players with their downloadable software. For the rest of us, the instant play works perfectly. We do miss a good mobile version of the casino and hope to see that getting added shortly.